Boxed Smith & Wesson No. 3 Russian 1st Model Single Action Revolver with Pearl Grips. Extremely Rare Colt Model 1860 Army Long Cylinder Conversion Revolver. Rare Book Cased & Engraved Colt 1849 Pocket Percussion Revolver - Dr. Joseph Murphy Collection. 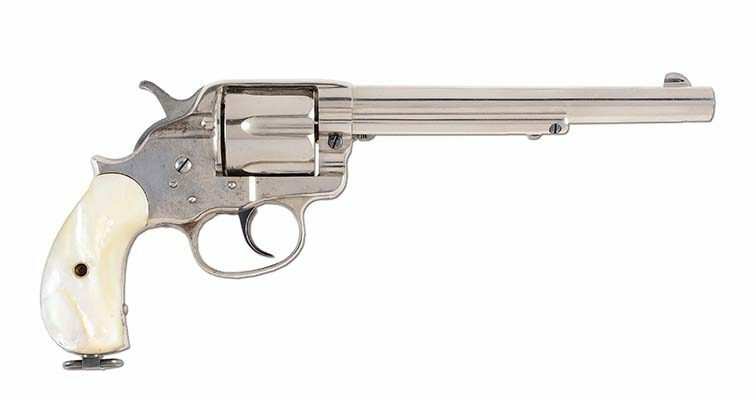 High Condition Nickel Etched Panel Colt Model 1878 Double Action Revolver (1882). Colt Model 1860 Long Flute Conversion Revolver. 1st Model Thuer Conversion Colt Model 1860 Army Single Action Revolver. 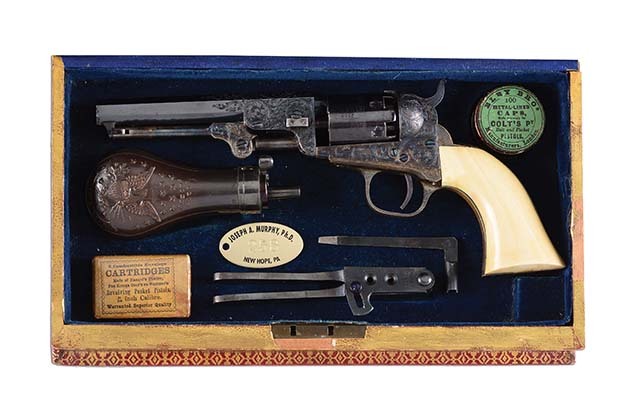 Colt Model 1860 Type II Richards Conversion Single Action Revolver. 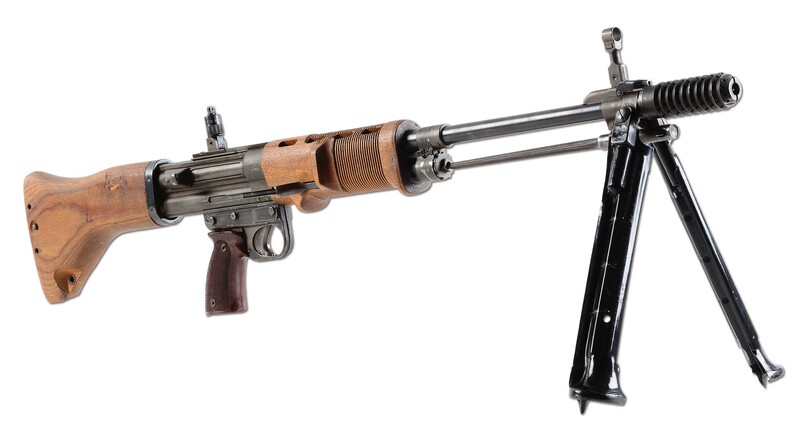 Parker Bros. Grade 7 Hammer Gun – Owned by Parker salesman and famed Shooter A.W. du bray – with three original sets of barrels! Rare British Proofed Factory Silver Plated Colt Single Action Army Revolver with Stock (1874). 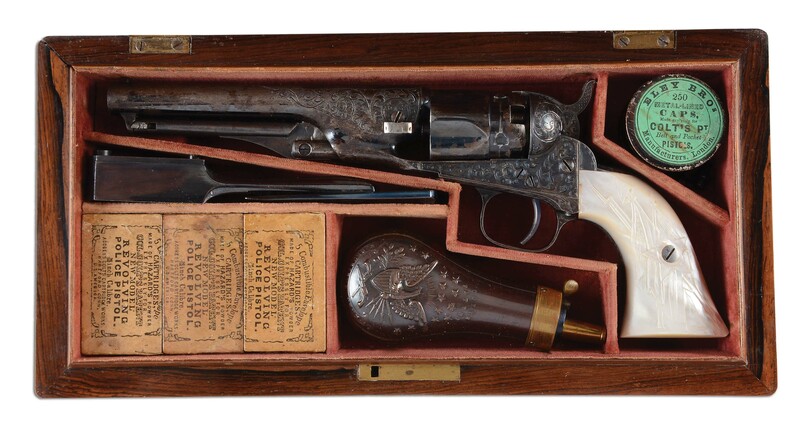 Near New Phenomenal Condition Nickel Colt Single Action Army Revolver. Very Rare Browning "Pointer" Grade 3" Magnum Superposed Shotgun Engraved by Marechal with Case. Cased and Engraved Colt 1862 Police Percussion Revolver (1864). Winchester Model 1873 Lever Action Rifle Attributed to Chief Rain-in-the-Face. 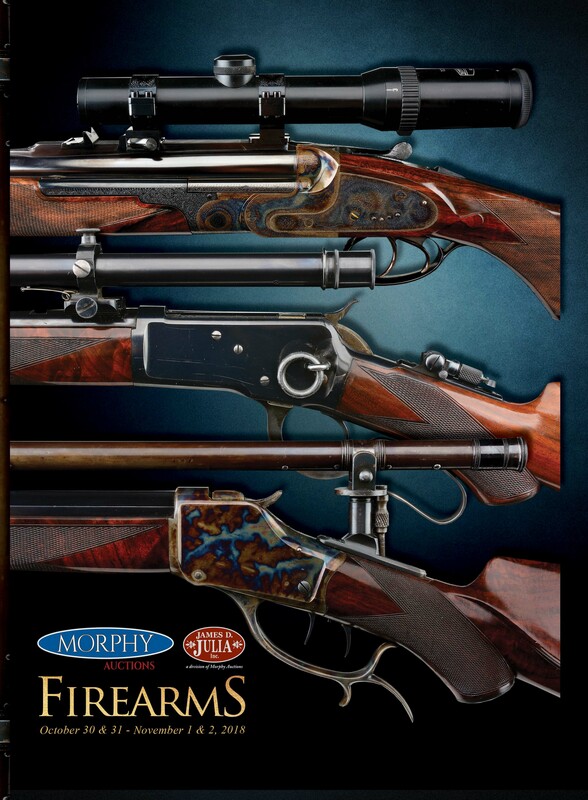 Matched Brace (12 and 20 Gauge) of Westley Richards "Best" Sidelock Ejector Game Shotguns with Extra Barrels and Case. 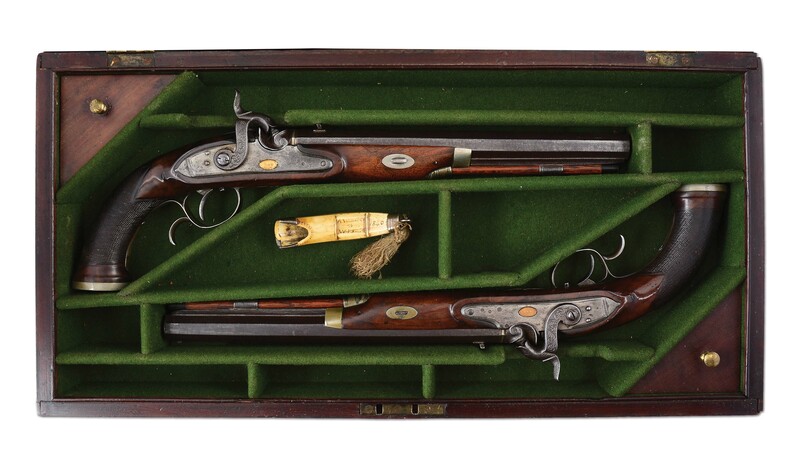 Documented Cased Pair of Dueling Pistols belonging to President James Madison.